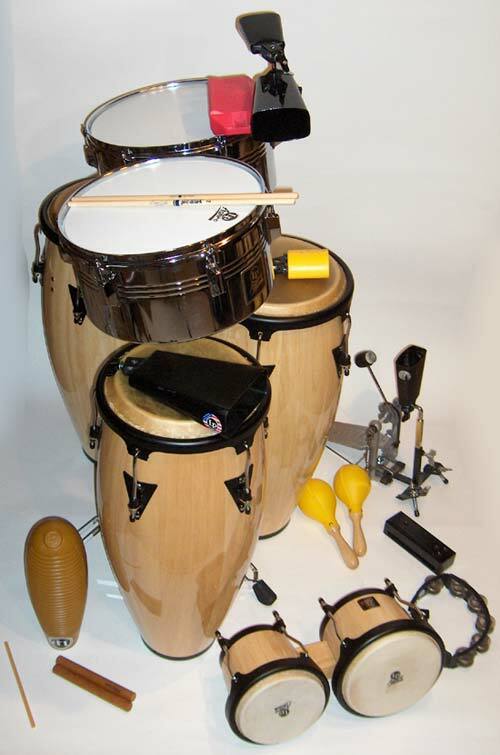 As in Brazil, Cuban polyrhythms are the result of a mix of instruments and rhythms of different cultures and ethnic groups inhabiting the island following the different waves of colonization and the successive slave exiles, with sometimes an adaptation and modernization of manufacturing techniques of the instruments and invention in playing techniques. The congas, for example, which introduce the rhythms of the rumba, son, Mambo, Cha-cha and many others, are as their name suggests, originated in Congo. But the slaves undergoing censorship of their culture of origin, could only perpetuate it clandestinely first, by converting barrels to make drum shells. First coming from constraint and oppression, the cooperage technology is transformed into an asset by its originality and becomes a both revolutionary and patriotic symbol. In addition, Cuban artisans still have modernized the instrument thereafter, replacing the African tension rope by steel screws. Later, it is in Christian religious ceremonies more or less transformed by African inspiration ("Santeria") that emerge musical stable forms, and which Chano Pozo became ambassador in the big band of Dizzy Gillespie (using rhythms considered sacred until then, also earned him not to receive the Santeria ceremony at his funeral). This is what Dizzy named himself "cubop", a mix of Bebop and Cuban music. The compositions and arrangements that resulted formed the starting point of what would later become "Salsa" (literally the "sauce") and "Latin Jazz", which have therefore their sources in the United States, more than Cuba, in refugee communities (including Ray Barretto , Tito Puente , for the most illustrious and virtuoso leaders). The popular success of salsa and its mixed character but yet anchored in the community roots make it a vector of national culture ideal for many Caribbean countries (Colombia, Venezuela, Puerto Rico, etc.). Let's talk about other instruments and their origin to demonstrate the mix character of Cuban music. The claves (two pieces of wood struck against each other) that gives the rhythm probably the most typical (called as the intrument: "clave") comes from Benin. The bongos seem to have an Arab origin. The maracas, for their part, are one of the few instruments of Amerindian origin. The guiro may be the only Caribbean indigenous instrument. The iron cowbells hit by wooden stick is used in almost all African cultures. The "timbales" are at the origin classical orchestral timpani ("timbales" in French), semi-spherical shaped (cylindrical today, still with single skin, sometimes still with copper (brass) shell) but played in African manner. In the Cuban "son", dance and concert music, the Spanish guitar and song melodies with European character and in Spanish language are omnipresent, finishing the mix and creating a typically Cuban identity. It is interesting to note that when an instrument is perpetuated, it is also the compositional musical baggage associated with the culture from which it comes, which continues, which makes the traditional Afro-Cuban music, a heritage of many traditions of the whole world, so old that it is impossible to date (probably prehistoric, given the archaic techniques of instrument making). But if the instruments and compositions are archaic, it is not the same for playing techniques. The congas make a striking example. The use of European military drum rudiments (paradiddle, rolls), fingers drumming (piano) "palm-fingers" playing (flamenco guitar?) are all Cuban contributions to African basic techniques (slap, open tone, bass, etc.). No congas virtuoso can ignore them today (the greatest current and historical masters for me are Ray Barretto and Giovanni Hidalgo ). The adaptation and integration of Cuban percussions in all styles of contemporary music, from pop to techno, through swing and contemporary written music without losing their musical roots, is the proof of the strength and vitality of this ancient heritage. So much so that I think no musician today, whatever their style, is supposed to ignore the basics of Cuban rhythms, even without knowing the percussion techniques, so they are now embedded in all cultures and music of the whole world, and that everybody has heard at least once in his life. 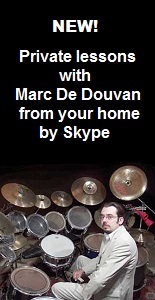 Marc De Douvan, November 2005, translated in English: May 2013.